I’m the kind of person who totally respects the athletes who compete in the X-Games sports, and of course love to watch all the insane things they do. 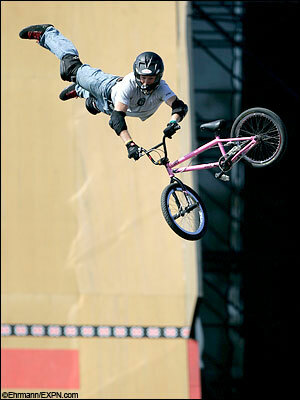 Seeing as we’re a cycling website, I got to thinking about the great life lessons you can learn from Extreme BMX. Yes, there is some seriously incredible wisdom that can be learned from what these amazing riders do on their bikes. Ask anyone who does flips or rotations for a few pointers, and the number one thing they’ll tell you to do is look in the direction you want to go. Wherever your eyes are looking, is where your body is going to follow. This is exactly why goal setting and being crystal clear on where you want to go in life is so important. When you see where you want to go in your mind, the rest of your body will follow. In the world of extreme BMX, the tricks being done are basically created out of thin air. I’ve heard many of the pros talking about these insane tricks, and they explain how they are first manifested in their mind….and then re-enacted in reality. Think about that for a second. These guys are literally creating something that has never existed ever before. Not only do they believe they can do some kind of incredible trick, but they believe they can do something that has never been done before. Grasp that same attitude in your life, and there is nothing that can stop you. Manifest your own reality. Those BMX’ers make tricks look pretty darn easy, don’t they? Well, you can imagine what they looked like the first time they tried doing it. Yeah, picture coming down from a 3 story big air half pipe and landing on your face…..and then getting up to go do it again. And again. And again. We’re all going to fall on our face at some point, but when we get up we’re always farther ahead than we were before we fell. Keep trying. Keep going. Never give up. That attitude that will let you achieve the amazing. I faithfully watch the X-Games every single year, and every year the tricks get more and more amazing. 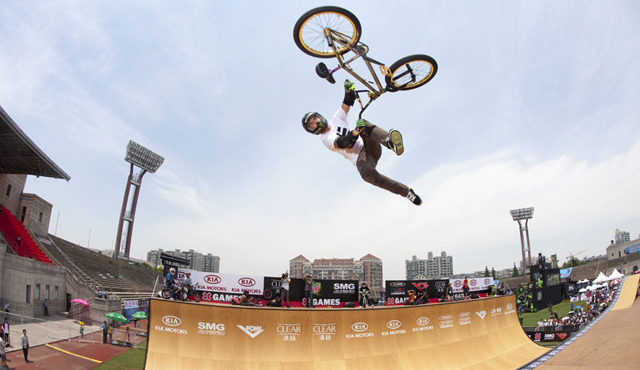 Just when you think they can’t possibly do anything more insane…..one of the BMX competitors land something for the first time in history. Imagine living a life where every single year you up’d your own personal limits and potential? Heck if I did that, I’d be able to levitate by this point in my life. But it really is something we as human beings owe to ourselves. Continuous improvement. There’s even a Japanese word for it – Kaizen. If I didn’t know better, many times I would think that the performance of a BMX pro was totally scripted like a good movie. Several times I’ve seen one of the riders take a nasty fall while trying to land some kind of spectacular trick, and end up with a broken shoulder or foot or something. But they don’t give up. They are a passionate competitor with a wicked massive amount of heart, and there is no way they will quit without giving it all they have. They head back up to the top of the half pipe, drop in, and often end up landing the trick. Even if they don’t land it, you just have to respect the guts and heart of going for it. If we look in the direction we want to go, believe we can do the impossible, never give up, keep moving forward, and then put our whole heart into what we’re doing….absolutely anything can be achieved. I 100% guarantee it. It’s Make it Happen Monday, everyone. Take this extreme BMX wisdom and go make your life extremely amazing.